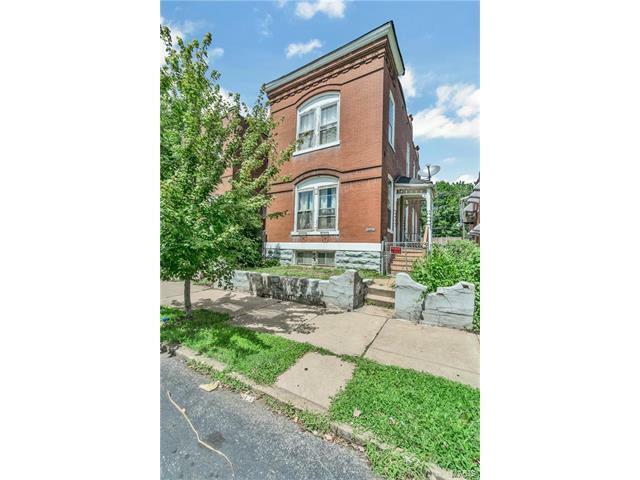 Awesome 19th century 2 story home with full basement and a great yard! 2 bedrooms (possible 3) 2 bath. Updated kitchen. Well lit street 4 blocks from famous Cherokee St, less than 2 miles from Soulard and minutes from downtown. You will love the mix of old and new in this home. Tons of space with 1564 sqft. Hardwood floors through out. Fireplace on main and upper level (non-working but adds charm). Tons of natural light. Shed out back. Wood deck and balcony. Excellent heating and cooling ventilation, AC serviced in 2017. Includes top tier 1 year home warranty. Super low taxes make this an excellent opportunity to own your own home cheap or will be a great investment property.